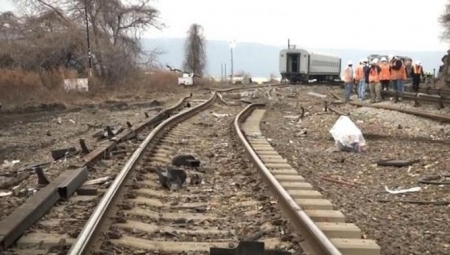 The train derailed in New York this week killing four and injuring dozens more, was speeding as it rounded a curve and left the tracks. The National Transportation Safety Board has determined the train went into the 30 mile per hour curve at 82 miles per hour. Just before the train derailed, the brakes were applied but not in time. The NTSB is interviewing the crew to learn why the train was going so fast. Today is Cyber Monday, the biggest e-commerce day of the year. Now that the holiday shopping season is open, many people take some time at their desktop computers to grab deals being offered by just about all the retailers taking advantage of the crush of on line shoppers. This year the mobile marketplace is expected to grow significantly as people shop on their phones and tablets. Edgmont Golf Club has filed for bankruptcy. The club property stretches into parts of both Chester and Delaware Counties. In court documents, Edgmont claims assets of $149,000 and liabilities of over $2.5 million including $250,000 in county, township and school district taxes for 2012 and 2013. The nor'easter that moved into our area last night dumped a lot of rain causing flooding on the roads and a deadly crash on the Schuylkill Expressway this morning. The good news is that the worst of the storm has passed. This is the busiest travel day of the year and we hope you use extra caution in getting to your destinations. Give yourself some extra time today. Wet weather will slow travelers tonight and tomorrow morning as rain spreads across the area today. We may see some wet snow in the northern and western suburbs, but with temperatures getting into the 50's tomorrow, it will be all rain. Thanksgiving Eve will dry out in the afternoon in time for your evening plans, which we hope include the Haverford Homecoming Concert tomorrow night. A police officer was injured in a crash that may have involved a drunk driver. Lower Southampton Township police are saying a female Bensalem police officer was injured when her car was rammed by a van last night. The van driver, a woman in her 50’s was taken into custody on suspicion of drunk driving. The officer is being treated for back and neck pain. 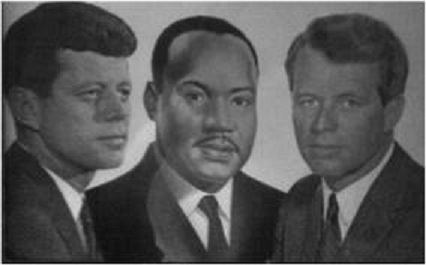 Marking the 50th Anniversary of the John F. Kennedy assassination, this from the iRadioPhilly archives is a moving piece combining music "What the World Needs Now," "Abraham, Martin and John," sound bites from assassination news reports and the voices of innocent children. The bill to spend billions on Pennsylvania's roads, bridges and mass transit cleared its final legislative hurdle yesterday and is on its way to Governor Tom Corbett for his signature. The House voted to increase gas taxes and motorist fees creating $2.3 billion in additional funding. New Jersey will test online gambling today at 6 pm. Players have been invited by casinos to test their systems making real money bets online. The test is designed to see if the technology works properly and that gamblers are 21 or over. If all goes well with the test, the system will go live on Tuesday. New Jersey will be only the third state to offer online gambling. It looks like the PA state Senate will consider a major transportation spending proposal now that the House signaled that it would support it. Governor Tom Corbett supports the bill that would raise gasoline taxes and motorist fees to pump an extra $2.3 billion into roads, bridges and transit systems. If passed, it would be the second largest tax increase in PA history.